The size of the newly opened Hauptbahnhof (U1 station Hauptbahnhof), Vienna Central station, is 109 hectares! Longer distance routes to Paris, Amsterdam, London Barcelona or Madrid are also available there. Coming to Vienna means using public transport (buses, trans, trams etc.) a lot 🙂 you should know everything about ÖBB. 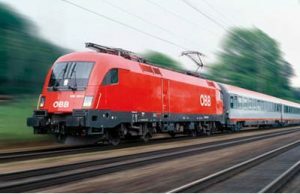 ÖBB’s bus services travel 52 500 000 km per year. Prices based only upon distance travelled, regardless of when you buy the ticket and which train you take. How do exactly tickets work? If you going to travel from Vienna to Krems, for example, that ticket is valid for any train that takes you to Krems. There are ticket machines at some train stations. When boarding regional trains you are required to have purchased ticket before boarding. We advise you to buy a ticket at railway office or vending machine at the station you are departing from.